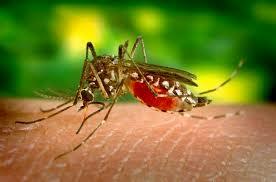 Over 80% of infectious diseases are caused by insects and other arthropods. DDT is desperately needed in impoverished countries where insect borne diseases kill and sicken millions every year, cutting lifespans and productivity. Africa, India and South-Central Americas are most affected. This unpardonable crime amounts to continuing genocide of brown races by western powers. Without these insect borne diseases, populations may increase at first, but better health will facilitate the building of infrastructure and industry that can raise millions out of poverty, ignorance and hopelessness. DDT worked so well that malaria and similar diseases were eradicated in most developed countries and were near eradication in poorer countries before DDT was banned in 1972 by EPA in spite of failure to find any harm to humans or the environment by an overwhelming body of research. Rachel Carson’s 1962 book, Silent Spring, was filled with lies, half-truths, misinterpretation of research results and wild speculations. Rather than being an attempt to protect humans and the environment as stated, it was really part of an effort to stop population increases in Africa, India and other impoverished countries. Population Bomb by Paul Erilich (1968) was a another book based on Malthusian, eugenicist, racist lies, aka propaganda. Population control groups such as the Club of Rome, supported by charitable foundations such as the Rockefeller Foundation, continue to spread the myth of overpopulation. Many rural areas have too few healthy people to build roads, other infrastructure and industry. In 1972 DDT was banned by US EPA Administrator William Ruckelshaus in spite of overwhelming scientific evidence presented at hearings that refuted claims of harm by activist groups such as Environmental Defense Fund and Audubon Society. Beginning the 1970’s, US AID, UN WHO, UNESCO and the World Bank have pressured leaders of poor countries to discontinue DDT as a prerequisite to receiving essential aid. This continues to the present with exception of recently allowing limited spraying of interior wall in selected areas. Although DDT is the most studied pesticide on the planet, it is still listed as an environmental toxin and possible carcinogen because the EPA listing has not changed, in spite of all of the studies that failed to find harmful effects on humans or the environment. It is much safer and more economical than any of the proposed replacements. Dr. Edwards examined each of Silent Spring’s claims and found them wrong and possibly fraudulent. Not one person has been harmed or died from DDT. The only death associated with DDT was a 3 yr. old child that drank a solution of DDT in kerosene, which is a hydrocarbon known to be toxic. J. Gordon Edwards was a Ph.D. entomologist who sometimes ate a spoonful of DDT powder at his lectures as a demonstration of its safety. He suffered no significant ill effects and died of a heart attack at age 84 while hiking in the Rockies. Expected rise in leukemia in children and breast cancer years later in girls exposed during puberty never happened. Bird deaths, thin egg shells and buildup in the environment have proven to be false. According to Audubon Society Annual Christmas Bird Counts, bird populations actually increased during the thirty years of DDT use. Numbers rose from 90 birds seen per observer in 1941 to 971 birds seen per observer in 1960. The eggshell thinning studies cited by Carson could not be replicated and had actually reduced dietary calcium, needed to build egg shells, of experimental birds to get that result. DDT is not metabolized by birds and is rapidly excreted in their droppings. Aquatic life has not been harmed by DDT; it is practically insoluble in water, with only 1.2 parts per billion at saturation. A study cited by Carson claimed 500 ppb DDT in seawater inhibited photosynthesis and killed algae. The problem with this study is that alcohol was added to the tank to dissolve the DDT in the water. Alcohol alone would do that. The assumption of persistence of DDT in seawater for decades was also challenged. Tests showed DDT and its metabolites disappeared in as few as 38 days. Next Article AGW Claims vs. Truth – Claim 10: World governments must take drastic action now to prevent catastrophic consequences. Science usually implies looking for ‘truth’ which requires looking at all the evidence – not just the evidence that supports a particular hypothesis. Mosquitos were already becoming immune to DDT in the 1960s. Any serious history of DDT should tell you that. Just as they are becoming immune to the alternatives that have been in use. In addition, even doctors that favor using DDT would agree that ingestion of 5 grams at once is neurotoxic. Look at this page of bald eagle breeding pairs by state. And, if you believe DDT had nothing to do with their decline, explain the decrease in Eagle populations in the 1950s and 60s and the increase since DDT was banned in the US. Thanks for your comment. However, I must correct some of your assumptions and assertions. Contrary to your assumptions, I did look at all sides of the issue and determined that the advocacy sites were not very scientific, misrepresented scientific findings and cherry-picked data to fit their causes. I not only looked at the papers cited in my post, I looked at the actual scientific papers referenced in each of them as well as those referenced in books such as Merchants of Despair by Robert Zubrin and Eco-Imperialism by Paul Driessen. I also found the actual EPA hearings documents and studied them. What I have presented are based on solid scientific facts, not opinions or cherry-picked, exaggerated claims as presented by advocacy groups. On other matters, taking the United States as a whole, the Audubon annual bird counts show that the bald eagle and most other species of birds actually increased during and after the approx. 30 year DDT era (1945-1972). Although some of the eagle data may be due to the Bald Eagle Protection Act of 1940, expanded to include the golden eagle in 1962, it is clear that these predatory birds faired well throughout the DDT era. From the source you cited, “Having collected the most recent census data from state and federal bald-eagle managers in each of the lower 48 states and the District of Columbia, the Center for Biological Diversity has determined that the 2007 bald eagle population is approximately 11,040 pairs. This is a nearly 1,300-pair increase from the 2006 estimate released by the U.S. Fish and Wildlife Service in May 2007. The bald eagle’s spectacular return from 417 pairs in 1963 is one of the world’s great conservation success stories.” Most of this increase can be traced to the aforementioned protection act and later stiffer penalties applied to it.